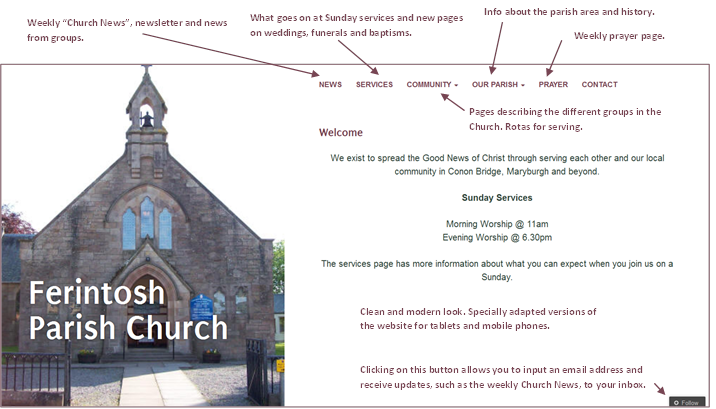 The Church Website has been updated with a fresh, new look and content designed to let people from outside the congregation know what goes on in a modern Church community. The website address remains the same (www.ferintoshparishchurch.org.uk). By “Following” the site you will receive updates to your inbox. Once signed up, the preferences can be changed so you receive posts as they are put up (i.e. several times a week) or alternatively get an email once a week with all the news that has been posted. If you have any queries about how to do this, please speak to John at Church or use the Contact form.